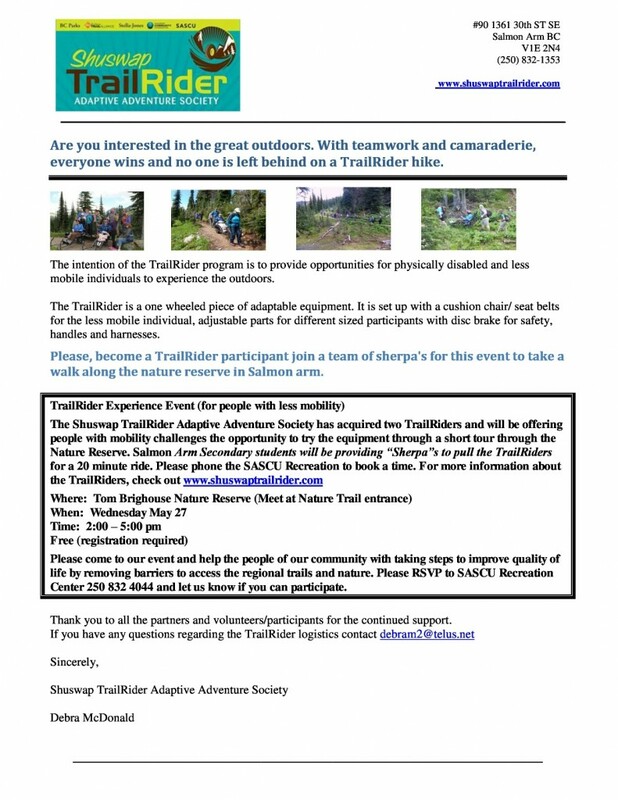 reation Center with Shuswap TrailRider Adaptive Adventure Society and SASS students have worked together to setup a great TrailRider event. Please, if you could help spread the word. We would like to invite you to bring people with mobility issues to this event.